This month's newsletter is first of all late. I am sorry for that, but most likely there will be another one for June as well (introducing the recent CTA releases). So this one is still for May and again about two main topics. One is about the upcoming events International Milonga and Alpine Abrazo both being organized by TANGO-DJ.AT within the next months in Vienna and Mallnitz. Another is about the underrated music label Harlequin and 5 albums being exclusively re-published for TANGO-DJ.AT. Save the date: 26. & 27. of July! YES, there is going to be a second edition of the infamous International Milonga organized by TANGO-DJ.AT! And it will be even larger, longer and better! So how could get this any better? Well, we make it three times better by making three times as long! Especially for our guests travelling from far away this will be good news! And dancers from Vienna will be able to enjoy their presence even longer! You may visit each event individually or get a pass for all of them. The International Milonga will take place in a new, larger location offering perfect wooden dance floor and air conditioning! Please spread the word so that Vienna's tango community presents itself in best possible way to our international guest dancers! Details will be published on Tango-dj.at/events. Alpine Abrazo is a long weekend where dancers from all over Europe enjoy dancing with each other at a very special place to an exquisite selection of music provided by international renown DJs. Since places are limited, we provide high quality, expensive catering and strictly respect gender balance please understand that confirmed registration for the whole event is mandatory for your participation. So we will take perfect care of you while spending your tango weekend with us! There is no need to spend any additional money other than for accommodation! Our utmost concern is to provide a friendly environment for everybody to fully enjoy this weekend. For this we want to emphasize the importance of respecting the most basic principles of dancing at a Milonga. This includes knowing "Mirada" & "Cabeceo" for invitation as well as advanced floor craft competence for safe and respectful dancing! Everybody thinking that this is a good idea and who is capable and willing to support this is most welcome! We look forward to spending this wonderful long weekend with you! Plenty of tracks in way better quality than you can find anywhere else. This is especially true for the albums featuring Orquesta Típica Victor recordings! Plenty of interesting and very rare tracks, lots of them impossible to find anywhere else! Reasonable priced - ~15,- EUR / CD and ~24 tracks. That's less than you pay for Itunes and Amazon mp3s! So, why not take a closer look?! 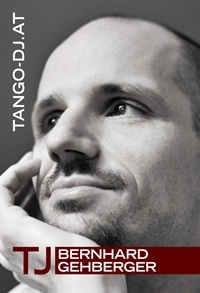 We have reworked our Harlequin catalogue on TANGO-DJ.AT/Shop. You will find complete CD booklet scans as well as sound samples of every Harlequin CD on sale! You will find that plenty of those recordings will be in much better quality than what you can find anywhere else! Check out the sound samples! And it's not even expensive! You get 25 tracks in CD quality and extensive CD booklet for the price of 0,60 EUR per track! Minor database query updates: Sorting of mixed dates (year only, month/year, full date) is working correctly now.